Klayman: Cyrus Vance Is a Political Hack: His Father by the Same Name Was Carter's Failed Secretary of State! 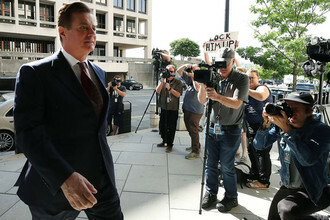 Judge Amy Berman Jackson completed her sentencing of Paul Manafort for federal charges earlier this week, and the Manhattan District Attorney's Office wasted no time indicting the former Trump campaign chairman on 16 additional counts for state crimes. The indictment seemed calculated to prevent Donald Trump from letting a potential confederate off the hook with a presidential pardon, while the timing allowed for the federal prosecution to fully conclude. (I have been suggesting this state-action backup strategy in Slate since July 2017.) District Attorney Cyrus Vance was quickly showered with praise (including, initially, from me). After more closely reading the indictment, though, most of the charges seem to violate New York's double jeopardy law.